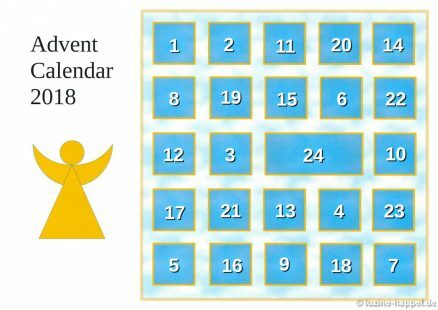 Many of my blog readers are already looking forward to the Advent calendar. 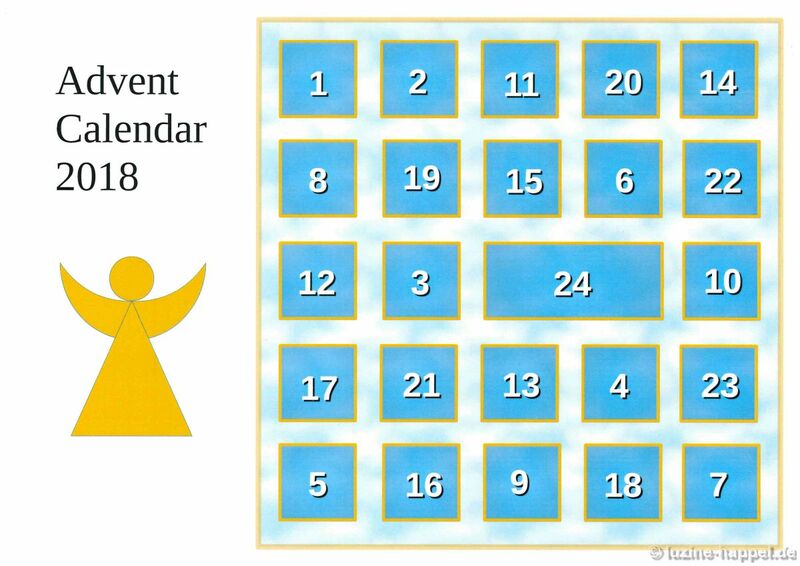 I’m glad because I really enjoy creating them, and I’ll give you a hint about this year’s: there will be a big gathering of angels. 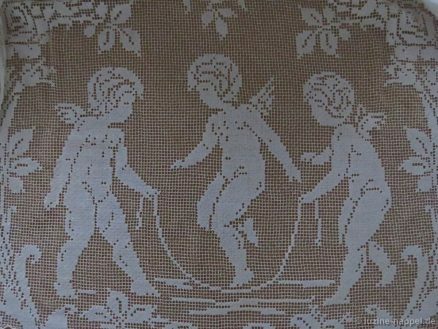 For many centuries angels have been represented by embroidery stitches – mainly in Petit Point and Cross stitch embroidery. In these types of embroidery, the most diverse designs can still be found today. 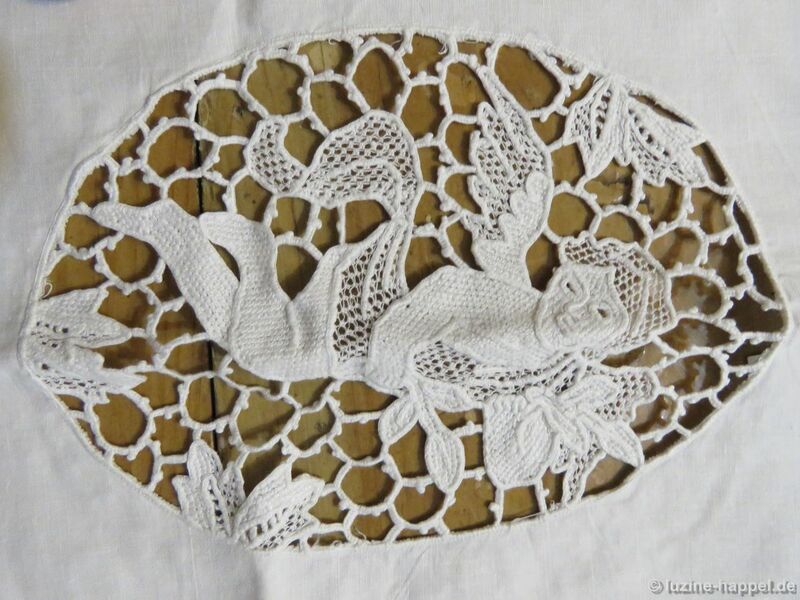 Angel motifs were even found in needlelace embroidery. At that time, the winged heavenly messengers were usually depicted unclothed. 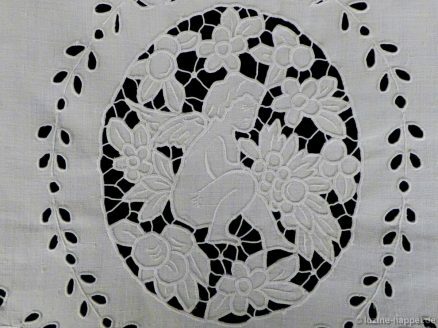 In recent decades, these motifs fell out of favor with whitework embroiderers. Now they are gradually being viewed with interest. However, the illustrations have undergone a major change. 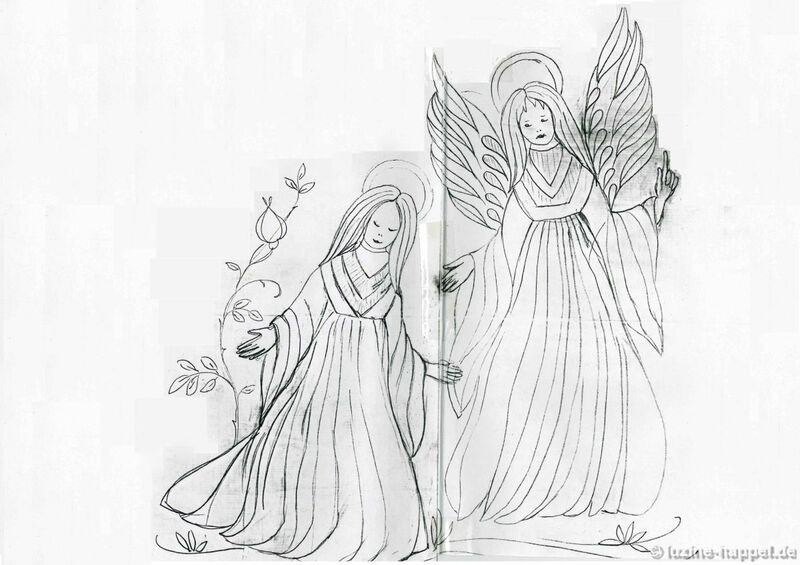 For example, Christa Waldmann drew angel motifs as an embroidery design. Unfortunately, I do not have an embroidered version of it. 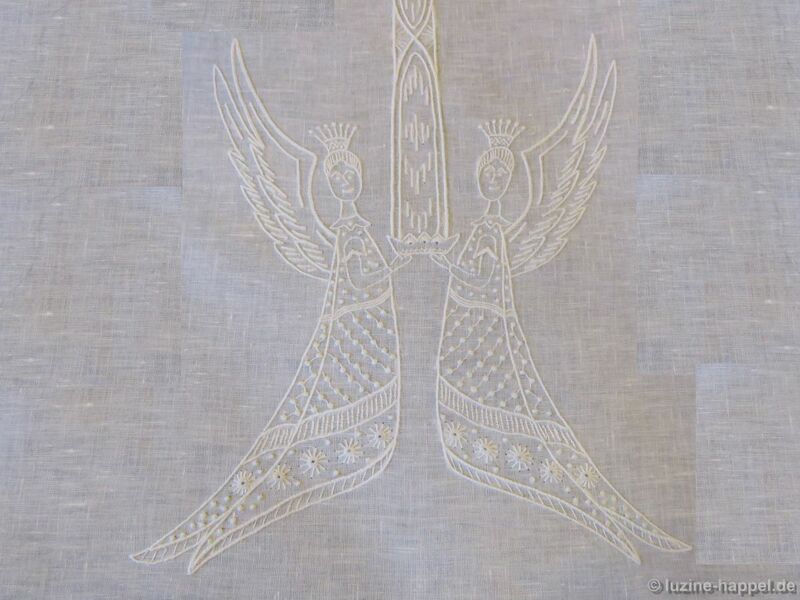 A few years ago, Maria Deistler designed a pair of angels that were skillfully embroidered on the finest linen. 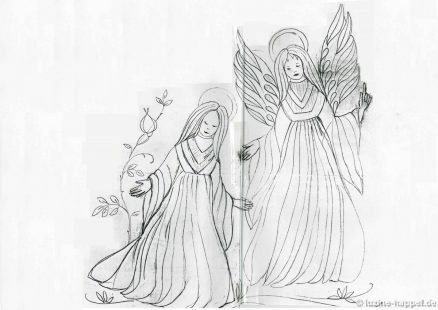 There are also designs for Schwalm whitework. 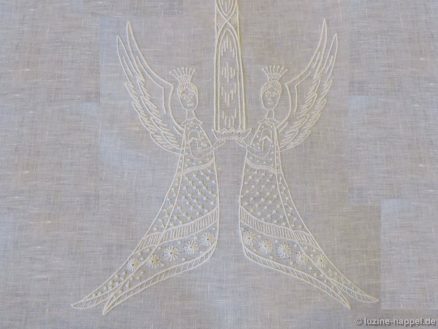 Angels were never depicted in traditional Schwalm whitework (at least I have never come across any). In fact, I’ve never come across any seasonal designs at all in traditional Schwalm whitework. I’m not really a “cherub” type, so I’ve had a hard time deciding on this motif. But thinking more about the subject, I began to find joy in designing the winged heavenly messengers. The result is embroidery with a variety of characters – simple, small, big, playful, nostalgic, modern, floating, dancing, making music, walking . . . It was only in October that I made the decision for this year’s theme. At that time I had only a few embroideries with angel figures. Since then, I have spent many hours stitching to give shape to my visions. Fortunately, some embroiderers could also provide treasures from their collections. And so there are twenty-four different projects altogether. 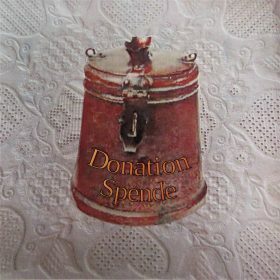 Many thanks to all who contributed to this effort! 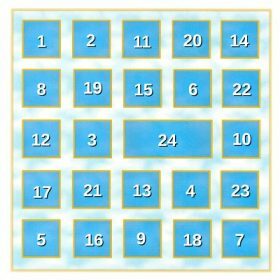 I hope the daily – starting tomorrow! – angelic surprises will delight you.